Belinda’s Dream, originally uploaded by trekr. 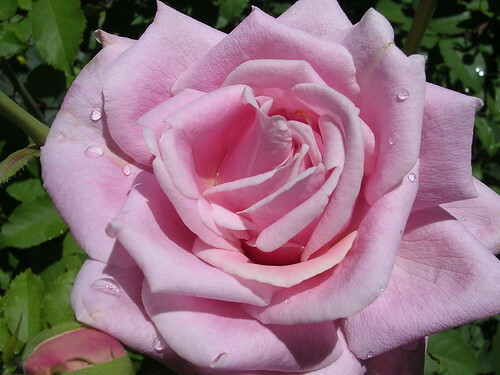 Belinda’s Dream is a gorgeous shrub rose that requires very little care. It was developed by Dr. Robert Bayse a mathematics professor at Texas A&M and named after the daughter of a friend. This entry was posted on Sunday, June 3rd, 2007 at 12:31 pm	and is filed under Garden. You can follow any responses to this entry through the RSS 2.0 feed. You can leave a response, or trackback from your own site. wow, an Aggie developed this? Yikes! Well, chalk one up for the Aggies. We know how badly they design the roads here in Texas!